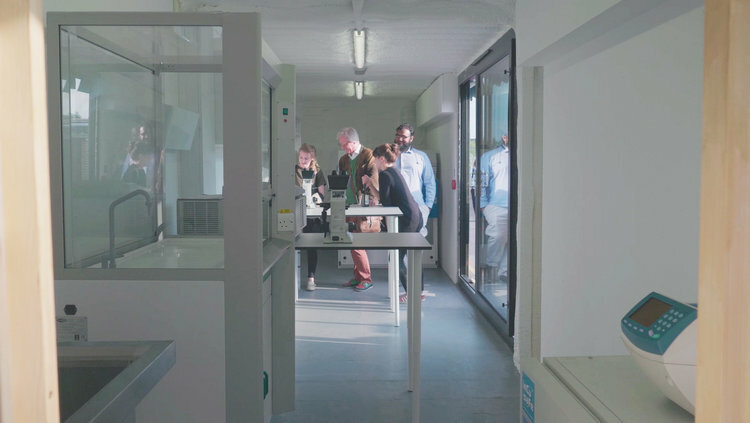 Open Cell is a new collaborative space for biotech innovators in Shepherd’s Bush London. Aiming to support the London ecosystem of bioscientists and designers, specialising on incorporating new biological techniques into material development. It’s a unique space, composed of modular mixed use areas including labs, studios and workshops. Opencell is located within 45 shipping containers adjacent to Shepherd’s Bush Market. After running a biodesign exhibition with the Royal College of Art in White City, London, a year ago, Open Cell founders Helene Steiner and Thomas Meany saw amazing inventions from students. The ideas had tremendous impact but also had a need for space and specialist lab equipment. Helene and Thomas were well acquainted with this problem since they run a startup specialising in developing DNA design and prototyping tools called Cell-Free Technology. In a way it makes perfect sense since the startups and designers who will move base themselves in Open Cell are working in a very unusual discipline. Broadly defined as “synthetic biology”, they are bridging the fields of technology, biology and design. As an example one designer, Alice Potts, has been working with food waste to find way to upcycle it into fashion. This type of approach is central to the style of businesses that Open Cell hopes to support; ecologically sustainable manufacturing methods and circular product life-cycles along with data driven research are essential ingredients in designing new materials. In addition new biotechnology tools have emerged that provide detailed genetic information to researchers to help provide a quantitative picture of processes and methods to improve them. 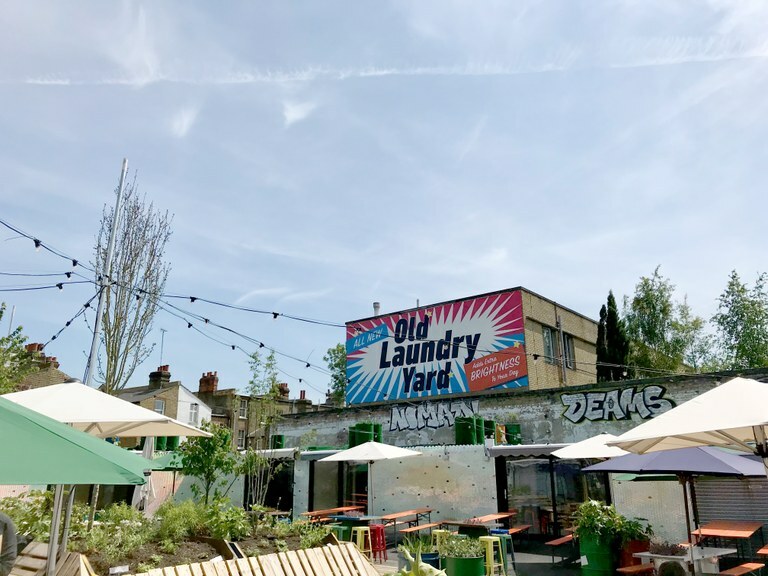 Old Laundry Yard launched earlier this year and is home to a number of food and drink businesses.